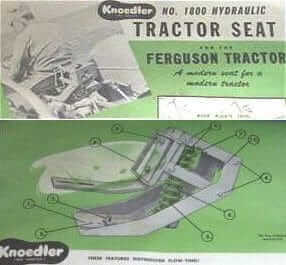 An aftermarket seat made by Knoedler Manufacturing in Streator, IL and marketed for Ferguson tractors seems to have found it’s way onto a lot of 8Ns over the years. This seat is more comfortable than the regular 8N seat, but not if you had long legs. 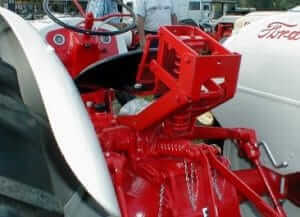 The rearward adjustment was a little lacking.